Since passed in 2010, the Affordable Care Act – infamously known as “Obamacare” – has raised many questions as to the legality of the law, the stipulations of the law and the implementation of the act. 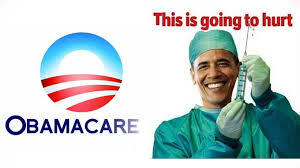 Not only have the beginning stages of implementing Obamacare failed on multiple levels, it is crippling families and creating a new healthcare crisis, both in facilities and in the insurance realm. 1. Legislation regarding taxes has to originate in the House: The bill that the ACA became a part of originated in the Senate, then made it’s way to the House, where it was revised, then passed back through the Senate. This act violated the Origination Clause, as all tax legislation must originate in the House. Violation of the ACA requirements leads to a penalty tax, and in the government’s interpretation, this is simply revenue building activity and exempt from this clause. 2. The federal government does not have the authority to mandate commerce on citizens: Article 1 of the Constitution gives Congress the right to “regulate commerce”. The implementation of Affordable Care Act essentially tries to create commerce that it will regulate. They do not have the power or authority to create commerce in this situation. 3. Health care waivers were being given without consent of Congress: Businesses in politically driven areas requested and received waivers to exclude them from some of the ACA mandates. Their claim is that the expenses of the requirements are not feasible with their budget, and the Department of Health and Human Services will waive their requirements. This group does not have the authority to make these decisions. Not to mention that Article II, Section 3 of our Constitution states that our president “shall take Care that the Laws be faithfully executed”. 4. Abortion coverage directly violates the 1st Amendment: Recent lawsuits have given businesses the ability to seek a waiver from the mandate that abortion services be covered in their health plans. However, the Supreme Court decision to allow this exemption is loosely applicable to future plaintiffs, as it didn’t specify what contraceptives were and were not allowable for exclusion. This open ended verdict leaves room for interpretation. 5. Electronic Health Records now mandate doctors ask about firearms owned or within the household: This violates an individuals first and second amendment rights to privacy and their right to bare arms. Doctors have been known to ask children, in private, about the firearms their parents possess, and information about their usage. This is clearly not healthcare related, and has no place in the doctor’s office. Another example of the unconstitutional requirements of Obamacare and the federal government’s abuse of power. Discussion of the constitutionality of the Affordable Care Act - Obamacare. Lists several valid reasons why this law should be nullified. How Does The Presidential Impeachment Process Work? If the act itself is unconstitutional, will I get into trouble if I don’t comply? The short answer is-maybe. The penalty for non-compliance (in the form of the “penalty tax”) will continue to raise over the next few years, and is projected at 2.5% of household income by 2016. There is a cap for maximum penalty, and no one is quite sure how well the government is going to keep up with bookkeeping and administering the penalties at this point. There are a lot of potential loopholes that can help you qualify for an exemption. To be in violation of the requirements, you must be considered to be willfully non-compliant. In the event that you have filed bankruptcy recently, can’t qualify for Medicaid, experienced the death of a close family member, etc., you may be eligible for an exemption. I am not eligible for a marketplace subsidy, but I make too much to qualify for Medicaid. The cost of marketplace insurance and private insurance is out of my budget. How can I get insured without overextending myself financially? You can look into hardship exemptions, which would give you a couple of options. One would be a catastrophic coverage plan, which would provide preventative care and a few primary care visits annually. The other would be in the event that on paper you don’t qualify for a subsidy, but an extraordinary circumstance has made insurance un-affordable. This would be taken into account for a subsidy or exemption. If you are eligible for an exemption under the available “loopholes”, it would be wise to set aside the money you can afford towards healthcare in a health expense fund and use it as needed. How does Obamacare threaten the quality of health care in the United States? There are many ways that the politics of the Affordable Care Act are going to negatively impact the quality and availability of healthcare. With the potential for up to 10 million more people having almost immediate access to healthcare with a primary care provider, the physician and medical population will be overextended and unable to spend the time and attention with individuals that they require. They are already starting to see the difference in compensation for patient encounters, which also forces them to see a higher quantity of patients, thereby potentially decreasing quality of care. Many physicians are retiring out due to ACA rules, and others are declining to participate with insurance companies and operating cash practices because they feel as if their practice integrity is suffering. In addition, the rate of new physicians entering the field as older ones retire out is not keeping up with demand, creating issues for the increasing population of sick and elderly in the country.